Why do Persian Cats Have Short Faces? 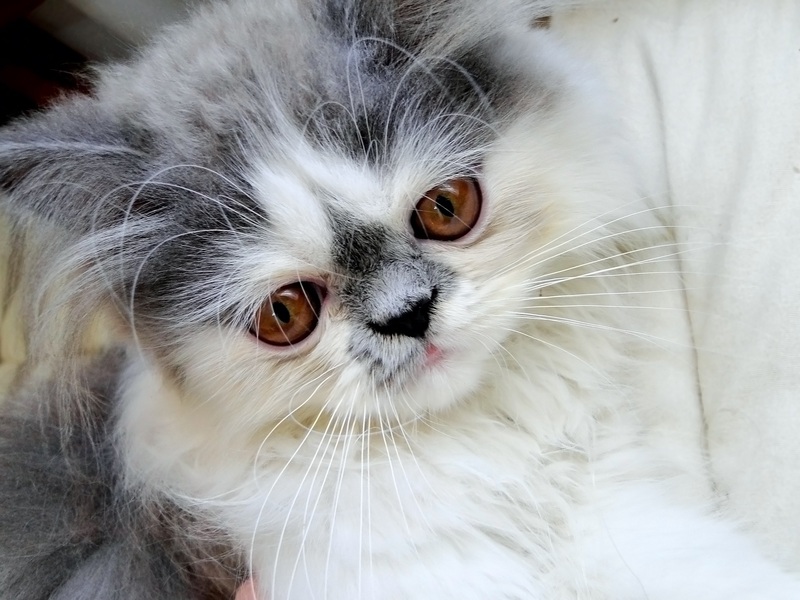 The ‘Doll Face’ of a Persian cat gives this breed their iconic sweet expression. However, the flat faces of these cats is not a result of natural selection, rather it’s a result of artificial selection – or selective breeding. At some point, cat fanciers found that Persian cats generally had slightly shorter snouts and decided that that trait was striking and desirable. They then took cats with the desired traits and selectively bred them until the traits became more and more exaggerated. Over time, Persians have been bred to have a round head, short face, snub nose, chubby cheeks, an a shorter body. Because of their flat faces, Persian cats can have problems with eye drainage, as well as nasal stuffiness. Additionally, the flatter the face of the Persian cat, the more likely they are to experience allergies and colds.